These days underground movements and curb trends are paradoxically becoming more of a mainstream. And guerilla art might be a good example. Leaving anonymous art pieces in public places, where everyone (or at least the most mindful ones) can see it and, possibly, engage in some action with it, is now becoming a much more powerful creative tool than finding your way through galleries. It started out in 1980’s as a response to the take-over of public spaces by commercial interests. It is not only about installing your art on the streets but also making subtle (or bold) statements, an attempt to change the reality. It can be a graffiti, a sticker and flyer art, notes and bookcrossing, even letters to strangers or some objects installed or left behind. It can be politically motivated, or just poetic or strange. 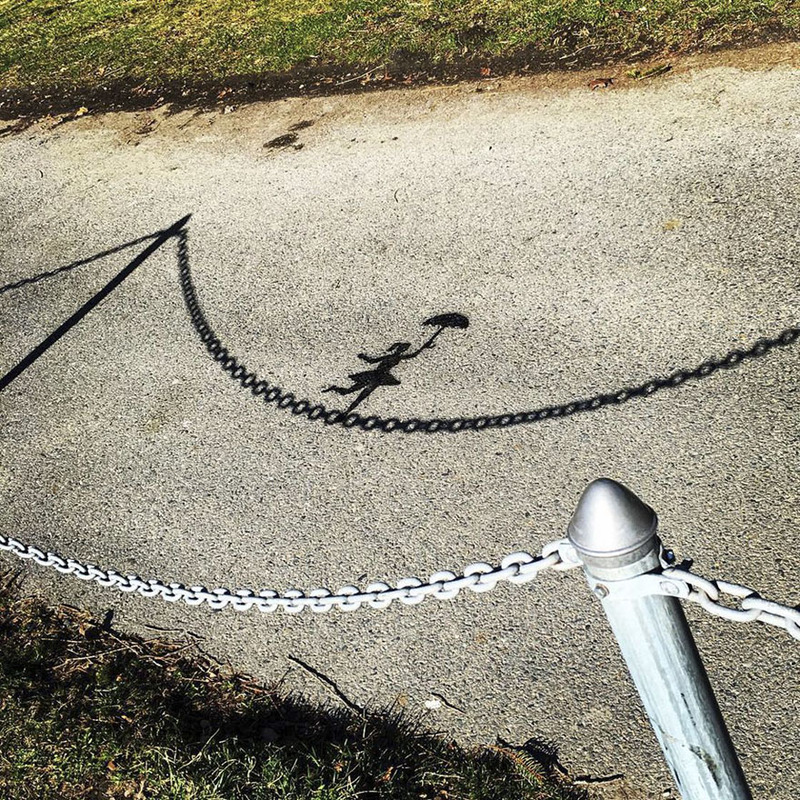 Check out these great examples of guerilla art to find inspiration to take a better look around your city environment… or, maybe, create something alike yourself. The famous Wall Street bull by Arturo di Modica, placed without permission in front of the NYSE in 1989, now crocheted in yarn by another guerilla artist, Agata Oleksiak, aka Crocheted Olek. Montreal artist Roadsworth uses parking lots and crosswalks as a canvas for his works. Our Instagram #BEOPENUrbanPattern open call is on. Hurry up to take part in it — the deadline is October, 10. Capture urban surfaces and patterns on camera and post it on Instagram with the tag #BEOPENUrbanPattern.